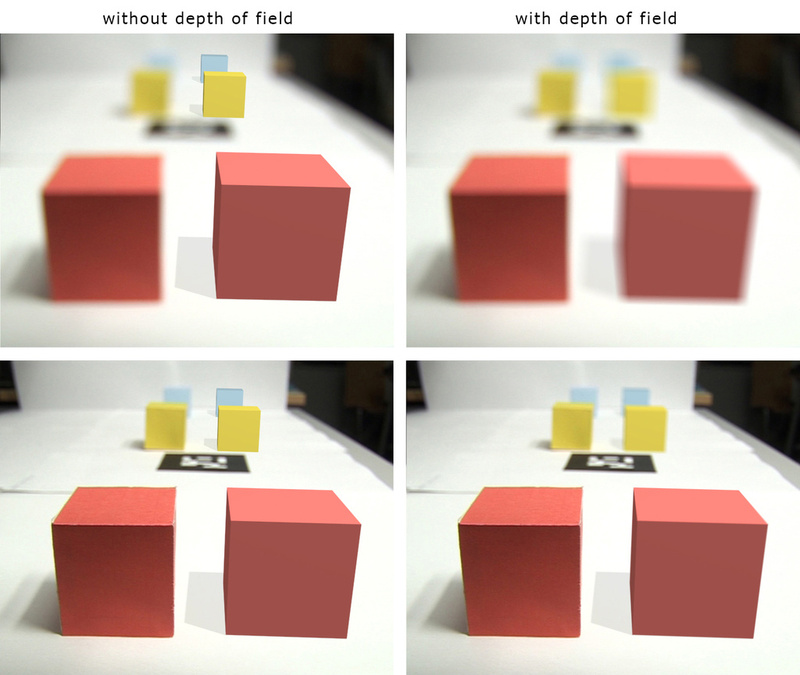 High-quality image synthesis, indistinguishable from reality, has been one of the most important problems in computer graphics from its beginning. 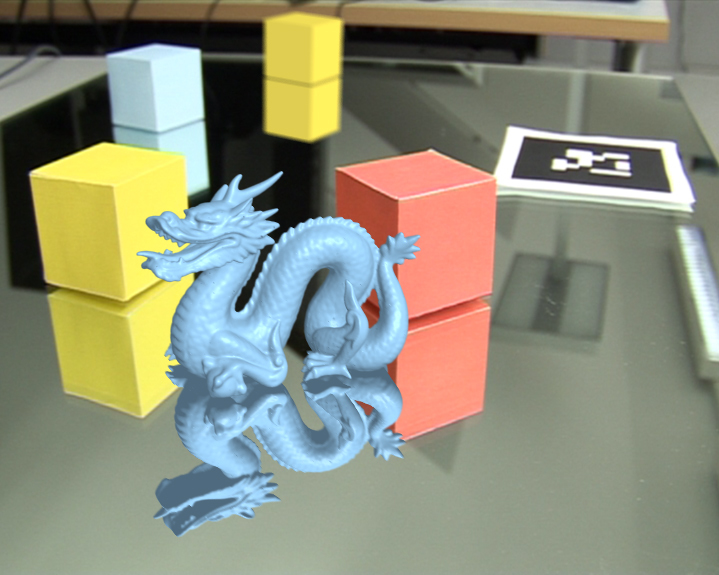 Image synthesis in augmented reality (AR) poses an even more challenging problem, because coherence of virtual and real objects is required. 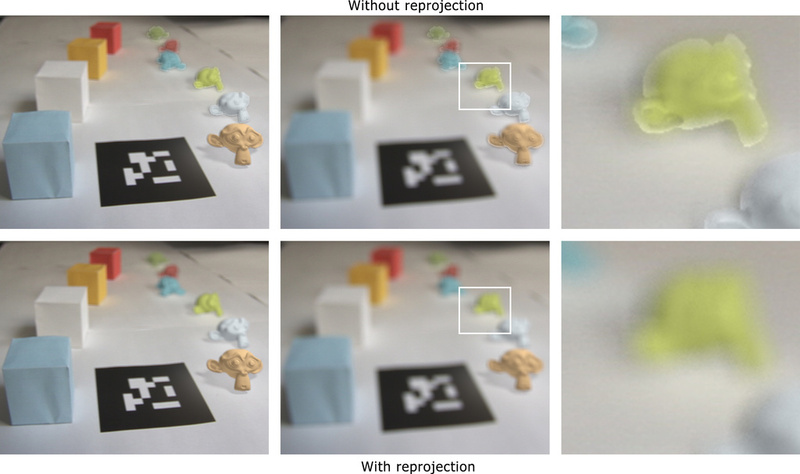 Especially, visual coherence plays an important role in AR. 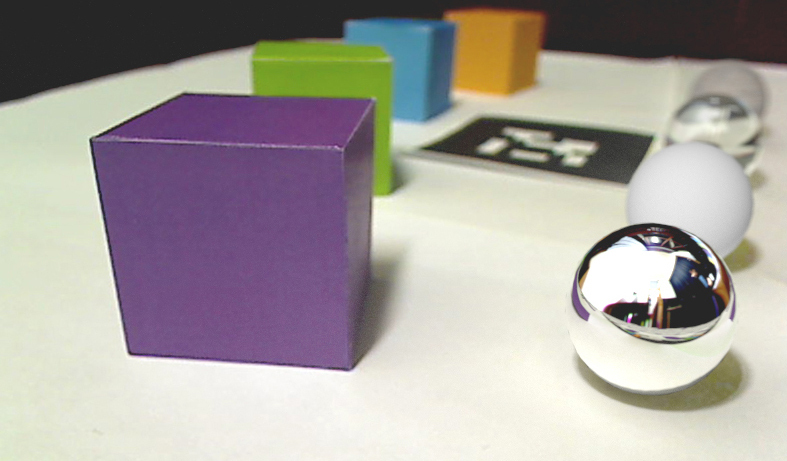 Visual coherence can be achieved by calculating global illumination which introduces the light interaction between virtual and real objects. 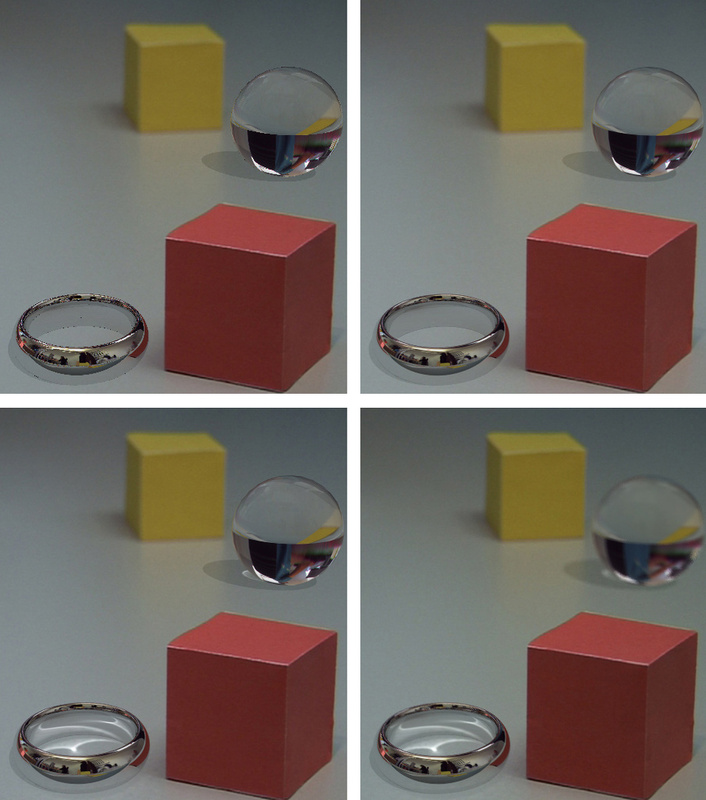 Correct light interaction provides precise information about spatial location, radiometric properties, and geometric details of inserted virtual objects. 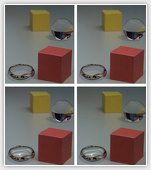 In order to calculate light interaction accurately, high-quality global illumination is required. 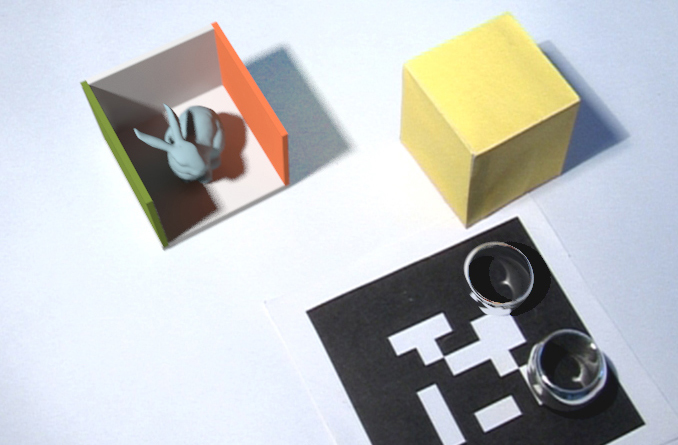 However, high-quality global illumination algorithms have not been suitable for real-time AR due to their high computational cost. Global illumination in AR can be beneficial in many areas including automotive or architectural design, medical therapy, rehabilitation, surgery, education, movie production, and others. 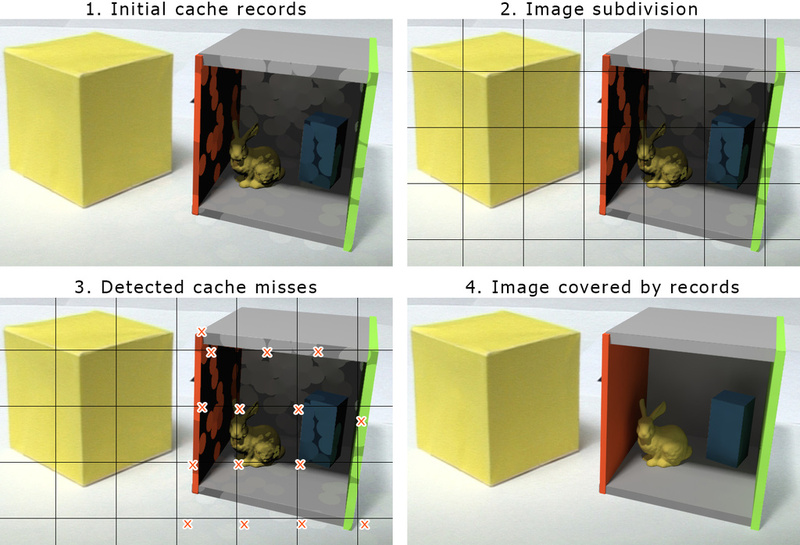 This thesis approaches the problem of visual coherence in augmented reality by adopting the physically based rendering algorithms and presenting a novel GPU implementation of these algorithms. 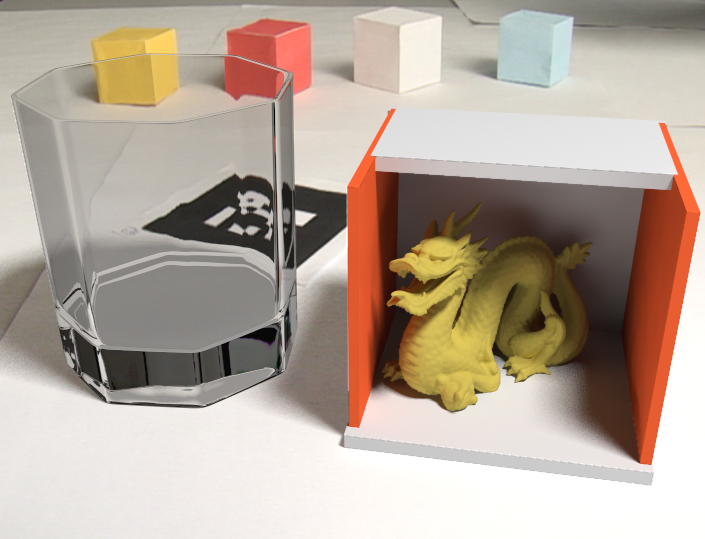 The developed rendering algorithms calculate the two solutions of global illumination, required for rendering in AR, in one pass by using a novel one-pass differential rendering algorithm. 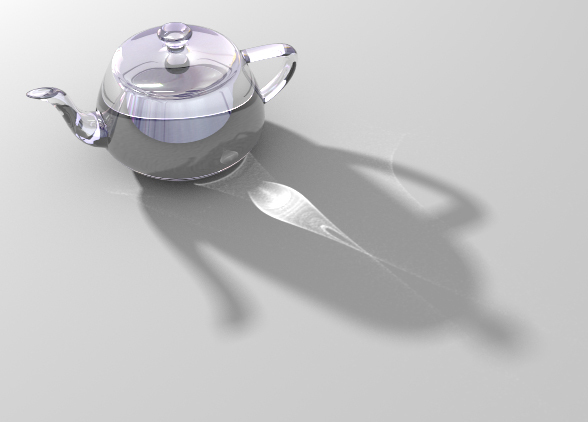 The rendering algorithms, presented in this thesis, are based on GPU ray tracing which provides high quality results. The developed rendering system computes various visual features in high quality. These features include depth of field, shadows, specular and diffuse global illumination, reflections, and refractions. 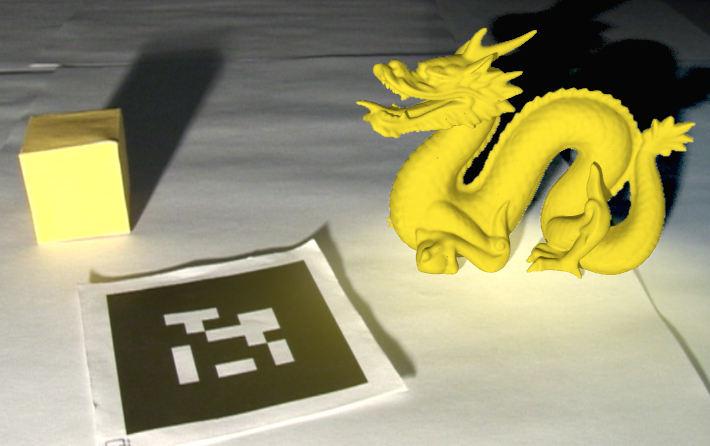 Moreover, numerous improvements of the physically based rendering algorithms are presented which allow fast and accurate light transport calculation in AR. Additionally, this thesis presents the differential progressive path tracing algorithm which can calculate the unbiased AR solution in a progressive fashion. 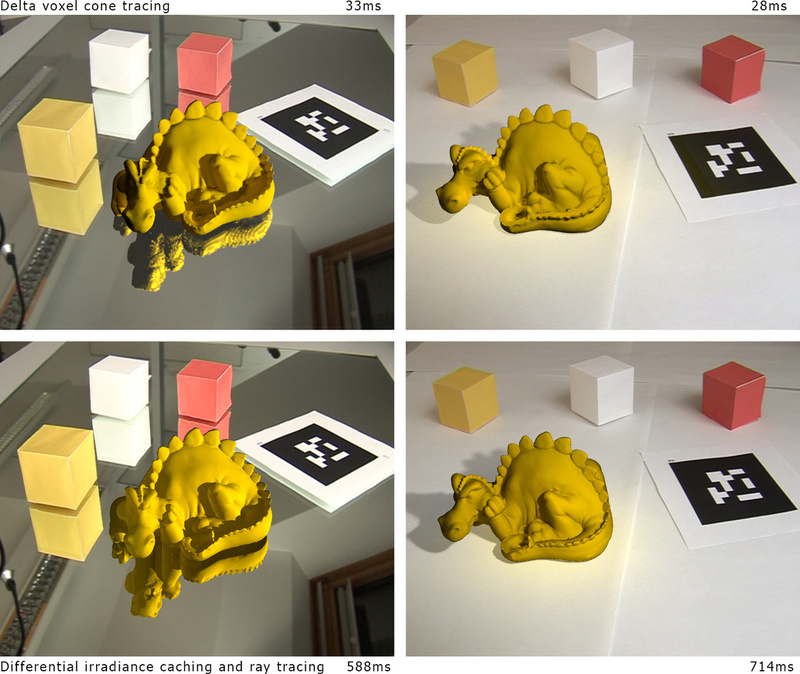 Finally, the presented methods are compared to the state of the art in real-time global illumination for AR. The results show that our high-quality global illumination outperforms other methods in terms of accuracy of the rendered images. Additionally, the human perception of developed global illumination methods for AR is evaluated. 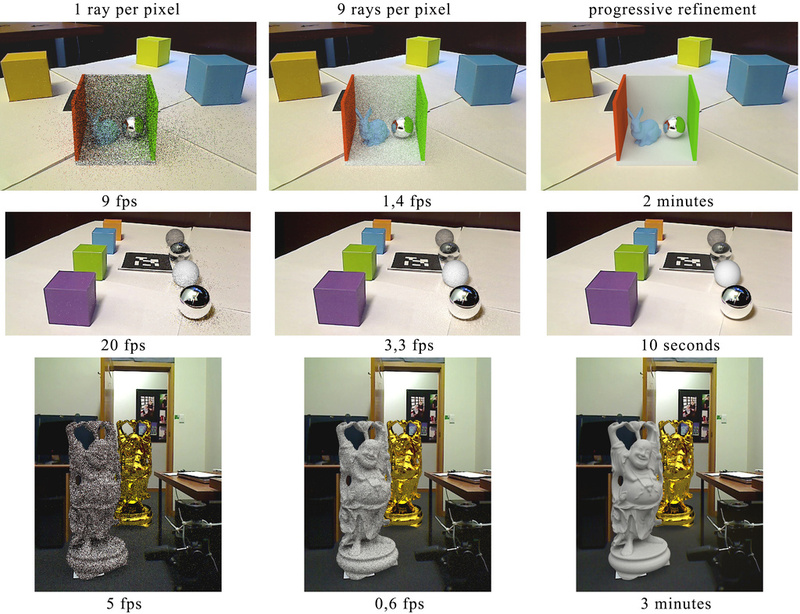 The impact of the presented rendering algorithms to visual realism and to the sense of presence is studied in this thesis. 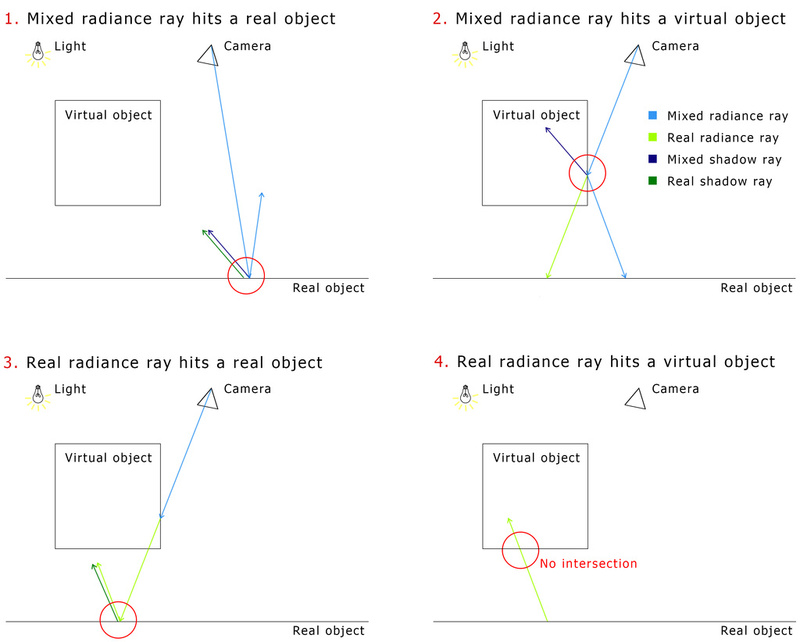 The results suggest that high-quality global illumination has a positive impact on the realism and presence perceived by users in AR. 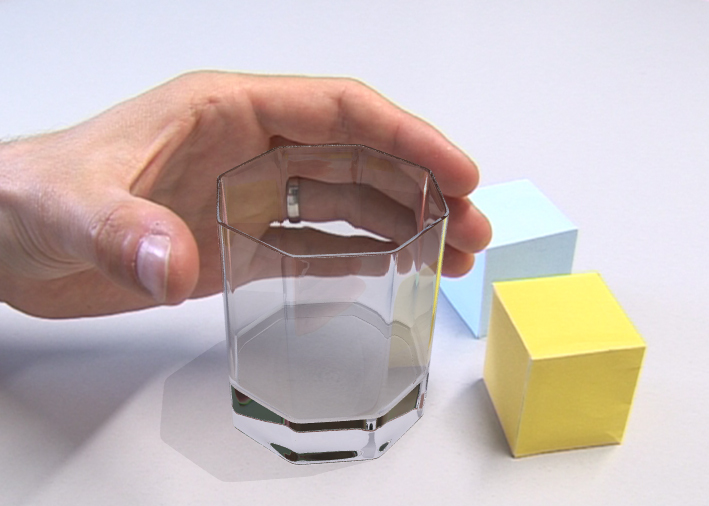 Thus, future AR applications can benefit from the algorithms developed in this thesis.